In a bid to throw everything including the kitchen sink at the upcoming Newport Half Marathon, I entered the February edition of the Draycote Water 10k Series of races for some further pace and race preparation. Historically since 2015, I’ve always struggled to better January’s Brass Monkey Half Marathon until the autumn rolls around; I want to reverse that trend and expectation, especially as the Newport course is not nearly as flat, nor will it be nearly as well attended so some additional work will be required. Dave Burton also tagged along on this outing, citing that he hadn’t raced in a long while and also wanted to address that. After the previous week’s win at the Stoneleigh Park Reindeer Run 20k, confidence was incredibly high whilst also factoring in the PB near-miss from back in November. Unfortunately, I managed to pick up a mild cold at the beginning of race week! Truth be told, I more than expected it as I’d been hitting both volume and intensity for a number of weeks without any cutback, so it was simply my body rebelling and crying for attention. Thankfully, the cold shifted as quickly as it arrived and I felt right as rain once more come race morning. Getting to the Draycote Water reservoir was pretty simple from South Birmingham; for Lis, our chauffer, it was pretty much her daily work commute! Arriving at the venue with 45 minutes to spare, we were met not by a queue to park but rather a queue to pay for parking! There were only so many ticket machines and with some 400 participants, it was what runners trying to remain calm did not want! Thankfully, we had Lis who kindly stood in the ticket queue for 15 minutes so that Dave and I could grab our bibs and visit the toilets before those queues grew as well, due to there simply being too few of everything on site. I really felt for runners that were on their own! It’s understandable why race organisers like using ready-made venues like leisure centres or similar to stage races, but they’re simply not suited to hundreds of runners and spectators arriving en-masse over the space of an hour. What would have been ideal would be several temporary portaloos to relieve the strain from the permanent toilets, and runners being exempt from parking charges or at least pre-paid parking via some sort of agreement between the race organisers and the venue management. Dave and I thought we’d gotten away with murder on the out leg of our warm-up jog. Everything felt easy and relaxed, and then we turned around… BOOM! We faced the full fury of the strong winds (estimated to be 15mph) from the west! My outlook for the morning remained the same as before, even if the PB wasn’t going to come without a fight. Toed up at the start line, I suddenly felt very self-conscious wearing even less than a week ago… There were just a select few brave enough to wear vests and shorts, though I did have to fall back and stick a pair of gloves on. Thankfully being huddled close with my peers, and without too much of a wait, we got running pretty swiftly on the sound of the hooter. One lap of the reservoir is almost exactly 5 miles, so we were sent north-east for a 2km out-and-back stretch. As anticipated with fresh legs from several days without running, the first km felt rather effortless and I found myself having to rein my pace in several times – 3:3X was not uncommon on a few occasions! The wind was also on the side of us runners, though its effects were hardly felt as is usually always the case with a tailwind. The first km came in for 3:48. Rounding that bollard for the return – wowza! The wind that hit my face made achieving that Elvis impression that bit easier! Thankfully, a timely surge allowed me to take some minor shelter from the headwind via a small group of runners, including a rather tall bloke and the lead woman. Dave, Lis and I discussed the reservoir being the home of a local sailing club, so I can’t say I should’ve been surprised by the ferocity of the wind! Lis overheard a conversation, where a regular at the race series cited it’s rarely ever calm at the site. 2km clocked in at 3:50 to still be on it for PB pace. Returning back to the visitor’s centre, we began our clockwise lap of the reservoir and were introduced to the first climb of the day. In isolation, it would be perfectly manageable, but facing strong winds at pace and it was a whole different story. The group I ran with suddenly fell apart and couldn’t maintain the momentum up the hill so I was left in no-man’s land to face the wind alone, destroying my pace to leave it at just 4:00 for the third km. As I did before, I made a tactical decision to surge to a group ahead for some respite from the battering I received. Rolling undulations struck and I sensed the group was at its limit on that pace; every time we went up, I pulled away and I would hope they would catch up to me on the down. Before too long, they stopped pulling alongside me to leave me on my lonesome again. My pace was left in worse tatters than before for the slowest km split of the morning for 4:03. There was at least a friendly trio of women out running on the upper level to cheer me on, so the slowest split wasn’t entirely joyless! Turning north and out of the strong gusts of wind, I breathed a sigh of relief and shared my delight with a fellow runner that I’d thankfully come into contact with. He’d pulled away from me early on from the start, but had settled into a reasonably stable pace and we likely had similar abilities, otherwise he’d have been part of the large group that was some 150m further ahead. Wearing a jacket around his waist, I wondered how much faster he could have been without the makeshift sail slowing him down. Having somebody to work with once more, I was back in business with 3:53 and reached halfway in 19:37. Some serious work lay ahead of me in the second half to reverse some of the damage… Easier said than done! 6km featured a not insignificant climb to further rob me of yet more time. Even with throwing myself down the descent on the other side, it wasn’t enough and my fragile pace continued slowing to 4:01 for the split. The sole water station for the race appeared during this secluded section, which I chose to pass by and take nothing on. Out of nowhere, a runner in a charity vest stormed past me and the other guy in front of me. The sudden appearance of this mystery athlete with so much power to his stride shook both of us up and we began our pursuit in a bid to latch on for a brief tow. Brief it was, for it lasted just a few seconds before neither of us could hold on anymore! He continued to pull away into the distance and I reasoned he must’ve adopted an easy first half to be able to zip away in such a manner. 7km came in for 3:53. Turning the corner for the final 2km, I squared off with my nemesis once more. I glanced at my Garmin for the elapsed time and reasoned the remainder of the race at 3:45 average pace would get me within striking distance of my 38:45 PB, and a kick at the end may nab me a few additional seconds. The wind had other ideas! Leaning into it and pumping my arms with authority, strong gusts nullified any semblance of finishing power I had in my arsenal. I only had the other runner ahead of me by some 5-10m to keep pulling me along for feedback that I wasn’t slowing. Disapprovingly, I couldn’t generate any more than 3:55 for the penultimate split. Whilst I knew I would comfortably finish in under 40 minutes, that wasn’t enough for me especially as my 10k PB dated back to June 2016. I threw everything into finishing as strongly as possible, but the kick did not come. I felt like I was towing a rubber tyre behind me whilst also wearing shoes lined with lead – that’s how heavy I felt! The finish line was non-distinct and only the crowd milling around the area gave me any indication of its location on the horizon. The large group appeared to have just gone through, so I possibly had another minute or so remaining. The other guy, amazingly, still had his jacket tied around his waist but began slipping from the pace. Sensing that he probably had a little something left, a spectating woman confirmed as much and gave me indication that he was ramping back up for one final kick; I took her warning on board and threw down one final surge for the line. To give you an idea of how strong the wind was, you all know by now that I love to have a fast final split with a big kick at the end. The closing pace for the final km was just 3:59 through no lack of trying! I gasped for air as I finished in front of Lis, hunched over with hands on my thighs and a strong feeling of nausea bubbling away. Thankfully everything was under control and recovery was reasonably swift, aided by a few choice curse words. I had 39:19 based on gun time, which I deemed to be pretty damn close to my own chip time given I was just one row away from the start line. We cheered Dave back in, who looked strong and pleased with his morning’s performance of 41:39. Just before departing, I caught in the corner of my eye the runner in the charity vest that stormed away. I went over to congratulate him on a strong run, where he revealed he’s normally a high 37 minute runner, but he and several club mates had arrived late to start right from the back. Goodie bag-wise, the spoils weren’t bad at all. A decent medal, a protein recovery shake, some water, chocolate, Haribo and the choice of a hat or some fleece ear warmers! A final nice touch from the organisers was the provision of on the spot printing of your race gun time, chip time, position and more. I’m aware of this at some triathlon events, but it was my first experience of such a facility at a running event. 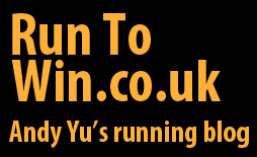 Normally if lucky, runners are directed towards a laptop to view the live results. This entry was posted in Races and tagged 10k, Draycote Water 10k, race, Strava. Bookmark the permalink. That was a tricky day to be out doing a race! We were blown around our long run, but did have the wind at our backs for quite a lot of the Bristol Road, which was nice. Well done on a great effort in difficult conditions.